These tubes are designed to work without ballasts,turn off the circuit breaker,remove the ballast,then cut the wires from the fixture to the ballast, Next hook the wires from the fixture to the wires leading to the switch. Attach the connectors from one end of the fixture to the "hot" lead and the other to the "neutral" lead. It doesn't matter which ones as long as all the ones from one end are going to the same lead. You then put the fixture back together and put the bulbs in. 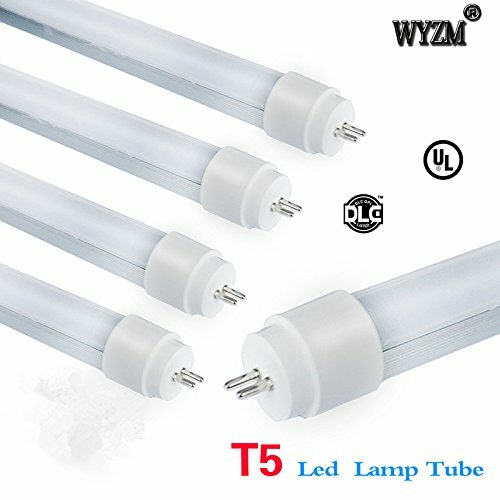 Made with T8 housing and T5 narrow pins,this led tube light is able to replace your current T5 bulbs without any problems. Very well packed,we put each tube in a thick cardboard and then pack them together in a box.Unlike other seller's poor packing,you are buying with confidence from us. If you have any questions about this product by WYZM, contact us by completing and submitting the form below. If you are looking for a specif part number, please include it with your message.